SOLD for OVER LIST PRICE in MULTIPLE OFFERS! 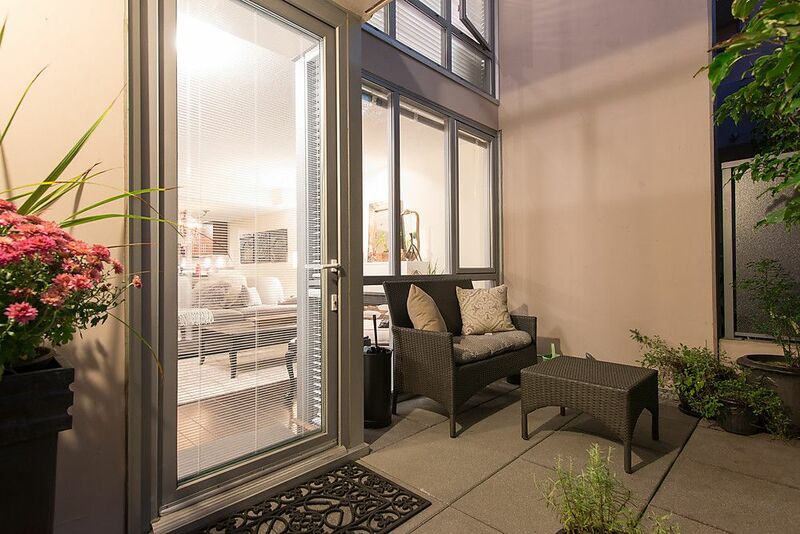 Beautiful 5-year-new 2 bedroom 2 bathroom 2-level FULLY-CONCRETE Townhouse with loads of outdoor space, perfectly situated just steps from all the conveniences of the new Cambie Corridor & Canada Line. Ideal floor plan...main level features a flexible great room concept with dark hardwood floors, enormous kitchen with granite counters, eating bar extension, gas range, stainless appliances & custom office nook, room for a large dining table, & 2 large & very private patio spaces. Upstairs has brand new carpets, 2 good-sized bedrooms, including master suite w/nicely-appointed ensuite bath, & a good-sized outdoor sun-drenched terrace for reading while catching rays. 1 PARKING + 1 LARGE concrete storage room included. Rentals are allowed, as well as 1 small dog or cat. This property ticks all the boxes for anyone looking for a 2 bedroom townhouse. And with a 92 walk score, this location simply can't be beat. Open Sat 3-5 & Sun 12-2.